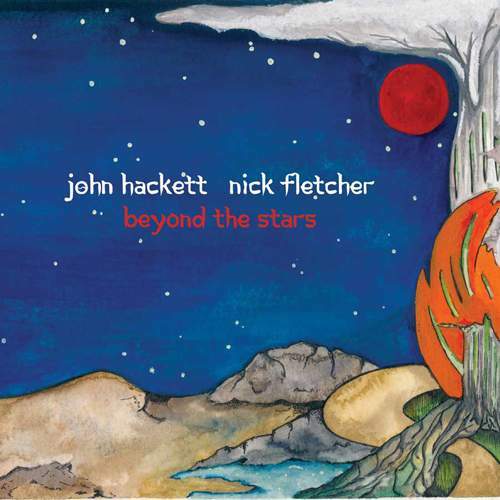 John Hackett is no stranger to duo records, as "Sketches Of Satie" might suggest, yet if that one saw him interpreting classical oeuvre in the company of a certain sibling, the album the renown flautist is to issue via Esoteric Antenna on October 12th with guitarist Nick Fletcher inhabits a prog-rock domain. Picking up where JOHN HACKETT BAND’s "We Are Not Alone" left off – although the two musicians found their special rappiort much earlier, having already released two joint CDs – “Beyond The Stars” will add some heaviness to adventurous moves; that’s why there are drummer Wayne Proctor, last heard on KING KING’s "Exile And Grace", and six-string bassist Simon Hall to help create a well-rounded sound on eight songs and one instrumental which often veer away from the work’s principal genre to draw on symphony and jazz. While, in Hackett’s words, it’s not a concept album per se, it has particular themes running through, especially of travel – whether in a car, on a ship or hurtling through space.